Vlad the Impaler ruled the Transylvanian princedom of Wallachia during the time that the Ottoman Empire was trying to expand into Eastern Europe. His reign was bloody and treacherous. 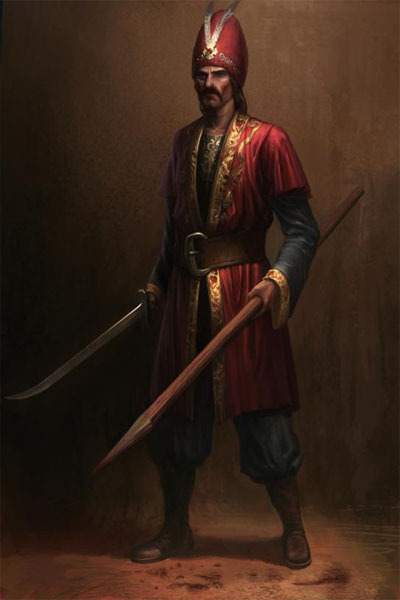 At age 11 Vlad and his brother Radu were taken captive by the Ottoman Turks. They were used as leverage to prevent their father from warring against the expanding Ottoman Empire. While held captive, Vlad was instructed in the ways of Ottoman warfare. This included being forced to poke out the eyes of another prisoner who had sent unfavorable letters to his home country. Vlad is most famous for his forests of impaled foes. He stopped a revolt by impaling its leader and later took revenge on families who plotted to kill his father by working them to death as slaves. Vlad’s anti-crime measures included placing a gold cup atop a fountain, then impaling hundreds of suspected criminals when it went missing. It was returned the next night and stayed there unguarded. Vlad lost the throne when his generals refused to support him. He regained his crown for a short time, but died fighting the expanding Ottoman Empire. The details of his death remain a mystery.